One of our goals at Insurance and Estates is to provide our readers with the knowledge they need to make the best decision regarding the company and policy they choose. In the following Foresters review, we will cover the strengths of the company, its ratings, its history and its various products and features. Is Foresters the right choice for you? Finding the company that best fits your needs, goals and objectives is no easy task. There are over 800 companies offering life insurance and annuities. With so many carriers in the marketplace, it can be a bit overwhelming to whittle your decision down to the top 10 best life insurance companies. Founded in 1874, Foresters has been around for over 140 years. Foresters is a not-for-profit company, called a fraternal benefit society. To become a Foresters member, you can apply as part of your life insurance purchase. Foresters Financial offers its various life insurance products through The Independent Order of Foresters and Foresters Life Insurance and Annuity Company. The company boasts over $34 Billion in total funds under management. As of September 2017, The Independent Order of Foresters (Foresters Financial) financial strength, as measured by A.M. Best Company, is rated “A” (Excellent), which signifies the company’s overall financial strength and claims-paying ability. Foresters Mutual Funds include both core and non-core funds with varying degrees of risk. Foresters offers plans to help you prepare your financial future. Foresters offers different annuities, with either single or flexible payments options. Foresters Financial offers a full range of both term life and permanent life insurance coverage. Although there are benefits to all types of coverage, in our opinion there is a clear winner when accessing the benefits between term life insurance vs whole life insurance. Foresters Financial offers a comprehensive line of life insurance policies, including both term life and permanent life insurance protection. Foresters Life Insurance and Annuity Company offers level term coverage with 10, 15, 20, 25 and 30 year convertible term life insurance policies available. Common Carrier Accidental Death Rider: Pays your beneficiary an additional death benefit if you die due to an accidental death that occurs while you are a fare-paying passenger on a common carrier. Family Health Benefit Rider: A benefit that pays out if your family has expenses that occur due to natural disasters. Accelerated Death Benefit Rider: A portion of the death benefit is available if you are diagnosed with a qualifying illness, which may include critical, chronic, and terminal illnesses. Offered through The Independent Order of Foresters, SMART Universal Life Insurance provides flexible permanent coverage with both a death benefit and cash value growth. The policy offers a 10 year no lapse guarantee as long as you pay your premiums. In addition, the policy offers a guaranteed 3% interest rate. Further, the product offers additional riders at no extra cost. Children’s Term Rider: term coverage that can be converted to permanent coverage down the road. An inexpensive choice when considering life insurance for children. Accidental Death Rider: additional death benefit if death is due to accidental bodily injury. Disability Income Rider (Accident Only): provides a regular monthly income benefit for up to two years. Waiver of Monthly Deductions Rider: your premium is waived if you are totally disabled and unable to work for at least 6 months. Variable Universal Life from Foresters Life Insurance and Annuity Company offers the benefits of Universal Life with an additional opportunity to grow your cash value through the allocation of premiums to professionally managed sub accounts or a fixed account. Option B. Death benefit is equal to the sum of the policy’s face amount plus the total Cash Value. Foresters offers 4 different whole life insurance plans. Whole life protection to age 121. In addition to the guarantees and dividends, whole life insurance also offers three additional benefits associated with cash value life insurance. Life insurance loans using your cash value as collateral are income tax free. And policy loans do not have to be repaid. However, if your policy lapses and you have an outstanding policy loan, it could result in a taxable event. Paid up additions rider (PUAR) can also be used to increase the policy’s death benefit and cash value. However, when using a PUAR it is important to understand that over funding a policy can result in the policy being considered a modified endowment contract (MEC). Have questions or would you like to see an illustration for Foresters or any of the other dividend paying life insurance companies we represent? Give us a call today for a free life insurance consultation with an advanced markets professional. Thank you for the contact information. We will reach out to you shortly. Would like to more about your whole life insurance. Hi Windell, thanks for inquiring about Whole Life Insurance. One of our whole life pro client guides, Jason Herring, has e-mailed you to assist in your search. Please send him some feedback to continue the conversation when you can. IS Forester’s a non-direct recognition company? Hi Jerome, thanks for your inquiry and interest and yes it is. 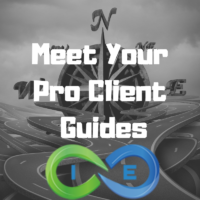 Let us know if you’d like some more information and will connect you with a Pro Client Guide.